WATCH The race to prevent the sudden death of mothers in childbirth in the U.S.
Four-month-old Muhsin just started laughing – and it’s brought some joy to his father for the first time in a long time. Mustafa Shabazz is proud of the nursery he and his partner Tahmesha Dickey designed for their son, but it’s now reminders of what could have been. "The name on the wall, the crib, everything," Shabazz said. "Muhsin is going to miss out on having a great mother, that’s what hurts so bad about this situation." Dickey, 38, died giving birth to baby Muhsin. PHOTO:Tahmesha and Mustafa had been together for about a year when they decided to start a family. 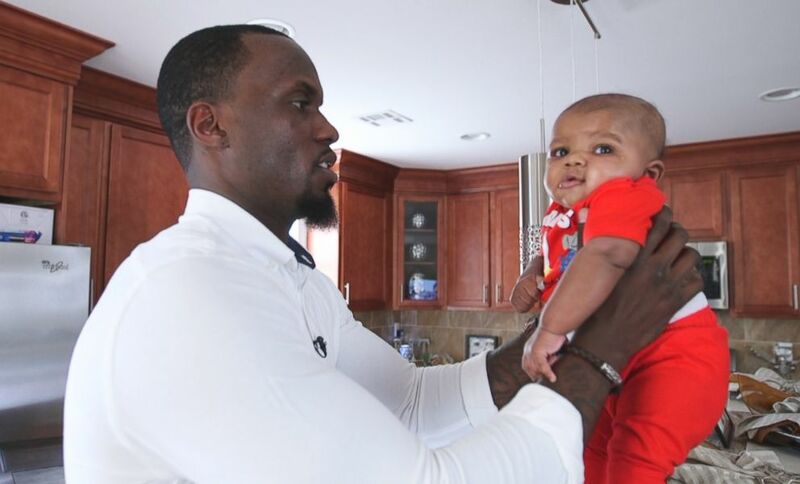 Her pregnancy had been going well, Shabazz said. She was not high risk and had been regularly going to her prenatal visits. “I was excited… because this is what I always wanted, I always wanted a family,” he said. But during labor, Dickey began having trouble breathing. Within minutes, she went into cardiac arrest and doctors performed an emergency c-section to try to save her and the baby. "[I thought] this can’t be happening, it seemed like a dream," Shabazz said. "They asked me to step out. I stepped outside of the room and I could just hear him saying … we’re trying to bring her back, trying to grab a pulse." 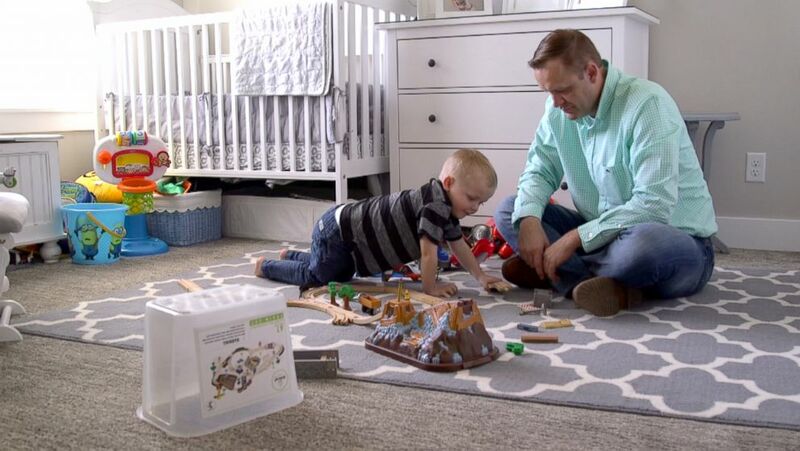 Doctors delivered the baby, but for Dickey, it was too late. Mustafa's wife Tahmesha died when she was giving birth to baby Muhsin. Dickey died of an amniotic fluid embolism – an often fatal complication in which amniotic fluid enters the women’s blood stream. It occurs in 1 out of 10,000 pregnancies and doctors are unsure why it happens or how to prevent it. Despite advances in technology and medical care, the United States is missing the mark on maternal health during three critical time periods: Pregnancy, during labor and the first year after delivery. While every other developed country has seen a decrease in maternal deaths, the U.S. has spent the last 20 years doing the opposite, according to the Centers for Disease Control and Prevention. About 700 women die each year in the U.S. due to complications from pregnancy or giving birth, according to the CDC, and some 65,000 women nearly die of pregnancy-related severe complications. According to Hollier, this is a problem that the U.S. should be able to fix. Shah said there are a multitude of underlying factors for why the maternal mortality rate in the US is rising. For starters, he said the quality of care varies tremendously from hospital to hospital and there aren’t enough qualified practitioners in rural areas to care for pregnant women. Also, Shah said in the critical weeks following birth, when complications can occur, current guidelines call for too few follow-up visits. 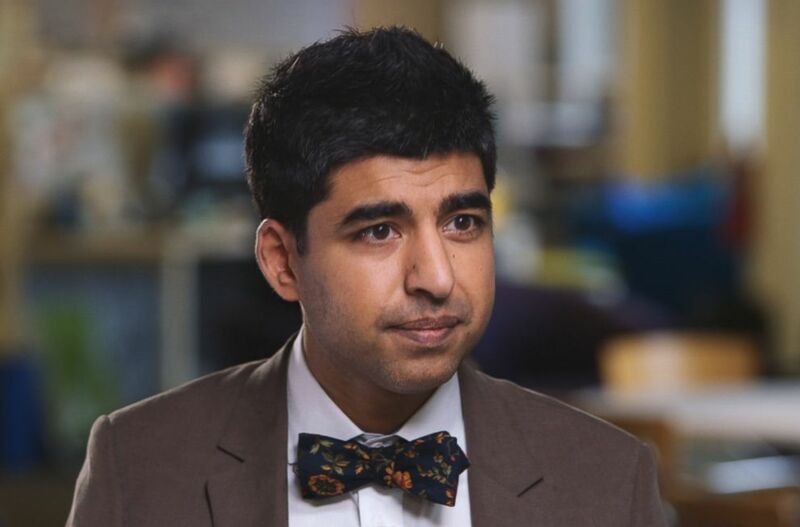 Dr. Neel Shah at the Beth Israel Deaconess has been working on the frontlines of the research to help solve the issue. Shah is working to find solutions to the things that can be fixed during these critical time periods for expectant mothers so they can be applied on a national level. "Nightline" spent 24 hours with Shah and his team on the labor and delivery floor at Beth Israel Deaconess to see firsthand how they do things differently. Watch the full story on "Nightline" tonight at 12:35 a.m. ET. Starting with communication, all the doctors and nurses at Beth Israel Deaconess met in what they call a huddle to discuss every patient on the delivery floor so everyone is accountable for everyone’s care. "Part of our whole solution is to make sure that everyone on the labor floor has an awareness of everything else that’s going on," Shah said. "It’s been shown across the country to make a really big difference in patient safety." While “Nightline” was there, Wendy and her husband John Samuel arrived. Wendy, in labor with their first child, decided to try to deliver without an epidural, something only 10 percent of women choose to do, but the team at Beth Israel Deaconess gave her time to explore this option. Time is another tenant of Shah’s approach to fixing the system. In the medical field, it’s called watchful waiting vs. acting swiftly. "We don't treat women the way we would treat a middle-aged man," Shah said. "For example, if a man walked into an emergency room with chest pain ... a cardiologist would have to see that person within a defined amount of time," he continued. "With OB emergencies, there is no equivalent. It's very common for a woman to go into an emergency room and not see an obstetrician for many, many hours." Shah advised her on taking deep breaths and said she could get up and walk around or get in the bathtub they have on hand if that was more comfortable. "For the last several decades ... we thought we should just automatically do more," Shah said. "And sometimes you can hurt people when you do too much too soon." When Wendy’s water broke, Shah noticed her amniotic fluid was green, which meant it contained meconium. "It’s from the baby's intestines. It's sterile, but sometimes it comes with the baby being distressed," he said. "But we will have the neonatologist here." Eventually, Wendy’s contractions became more painful and she decided to have an epidural. Four hours later, she started to push, with the NICU staff standing by. Wendy delivered a healthy baby girl, named Lydia. But after labor, she started to lose a lot of blood in a short period of time -- a liter of blood in minutes, which qualifies as a postpartum hemorrhage. Shah and his team acted fast to stop the bleeding. But even when delivery is over, the mother’s life can still be threatened well after giving birth. 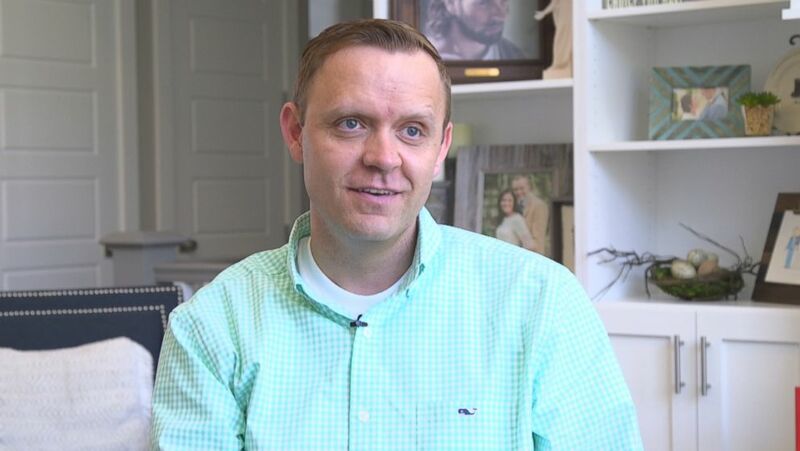 It’s something Eric Dyches, from Salem, Utah, and his five children experienced firsthand. Their mother, Emily Dyches, was 39 years old when she died in 2016. She had been struggling with postpartum depression. "The most difficult thing I’ve ever had to do is to tell my kids their mom wasn’t coming home," Eric Dyches said. Eric Dyches, from Salem, Utah, lost his wife and the mother to their five children in 2016. Childhood sweethearts Emily and Eric Dyches had four children together. In 2015, they welcomed their fifth child, but things were different this time. "She would get very anxious and agitated quite easily, had a difficult time sleeping. But primarily the way it manifests itself was through anxiousness and worry," Eric Dyches said. Dyches said they saw her OB, who prescribed an anti-depressant, and for while he said things were better. But soon, Emily was struggling again. "We sought help from a psychiatrist, we sought help through a therapist," he said. "So we were doing everything … I knew that I could do to help her." Growing more desperate, Emily went to an inpatient psychiatric facility where she was treated for 11 days. "She came home feeling a little bit better," Eric said. "But in hindsight it was a two-week goodbye." Shortly after, while in the car with her father, the unimaginable happened. Eric said he was on the phone with her dad and he could hear his wife’s panic building. "Then I heard, I heard her exit the vehicle and at that point I heard the phone drop," he said, with tears in his eyes. Emily Dyches was killed on highway I-15 in Utah after being hit by a tractor-trailer. "It’s my belief, the panic caused her to lose all spacial awareness and drive her to a place she thought might be safe," Eric said. The American College of OB/GYN has begun to address the maternal mortality crisis by defining best practices to improve the safety and standards for pregnancy and postpartum care. The group is also calling for a new "fourth trimester" that extends three months after delivery, during which doctors or midwives are encouraged to see their patients sooner and more often. These small changes towards fixing the maternal mortality crisis could help future expectant mothers, which brings some comfort to the Dyches’ children, although it won’t bring their mother back. Eric started "The Emily Effect," a foundation that provides resources and support to women suffering from pregnancy-related mood disorders. Eric has channeled his grief into action, starting “The Emily Effect,” a foundation that provides resources and support to women suffering from pregnancy-related mood disorders. The organization has been working with local hospitals to implement postpartum depression screening, something Dyches is hoping will spread to other hospitals across the country. 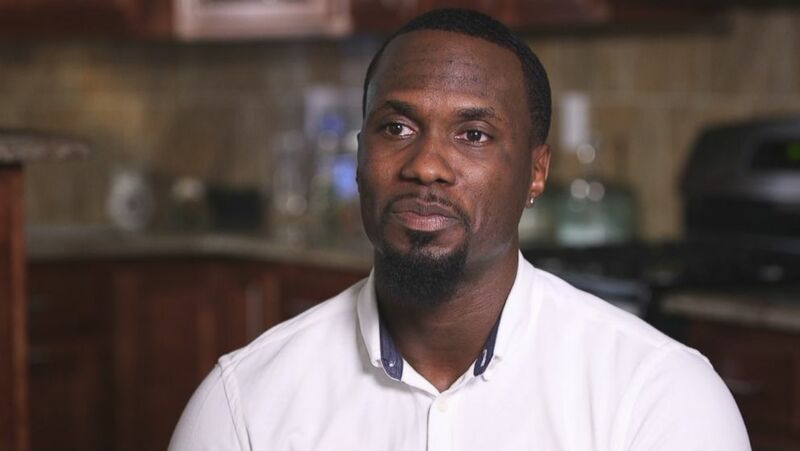 "I think it's time now that we shine the light on what a mother goes through," he said, "and we step up those resources to ensure that our mothers have the care that they need."